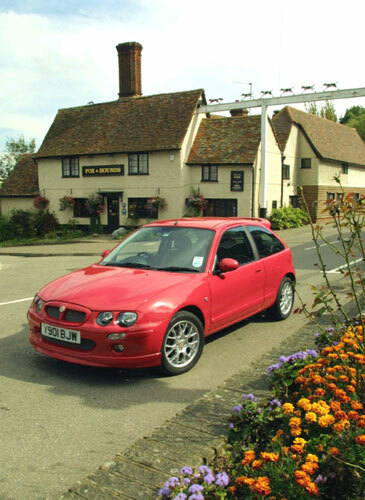 The MG ZR was been the UK’s top selling small sporting hatchback car for a considerable period, due to it being a very sporting and economical package, fully in the MG tradition. Created from the under rated Rover 25, the ZR 105 has appealed to a very wide audience, and specifically for the cost and fashion conscious younger market. Available with a range of petrol engines starting with the 103ps K series, rising through the 117Ps 120 models, to the range topping 160ps VVC ZR160. Diesel enthusiasts are catered for with the L series turbo diesel engine, which can be had with 101 and 113ps outputs and very competitive 240 or 260Nm torque outputs. All cars are fitted with manual 5 speed gearboxes except for the 120 Stepspeed models that use a CVT transmission with an option of six specific stepped ratios available at the touch of steering wheel buttons or through the gear lever. The suspension is significantly uprated over the original Rover 25, and is key in providing the cars with outstanding grip and handling, yet the ride remains comfortable, if firm. Braking is also more than adequate for each model with the 160 models benefiting from enlarged front/rear discs and larger calipers. 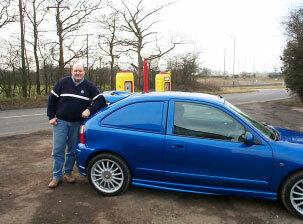 A first for MG is the MG Express, a car derived van, based on the ZR. 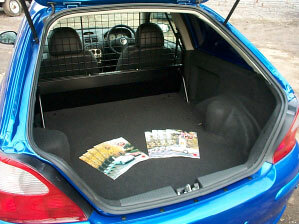 This for the first time provides a stylish performance vehicle with specific load space in the small van sector. Available with either 103ps petrol, 101ps diesel engines for mainstream use, but with a range topping 160ps version for ‘Hi Speed’ deliveries. Interestingly for legal reasons commercial vehicles do not have performance figures quoted and so the equivalent saloon model performance is quoted as a guide. Interestingly the lack of rear seat and trim reduces weight by a small amount, but more importantly the lack of rear side windows and the load bed frame in the rear offers considerable additional body stiffness compared to a saloon version for better handling.